In Canada’s left culture today, it can be hard to imagine that revolutionary socialists were the dominant tradition on the left before World War One, among the leadership in the transition to industrial unionism by the 1940s (the force driving the creation of a Canadian welfare state), and an organized force of thousands in the 1960s and 1970s influencing a wide spectrum of struggles. But these are the facts and Canadian conditions are such that organized Marxism can be a significant force again. As a contribution to that task, Socialist Solidarity presents a series of articles describing and analyzing our tradition beginning with the first generation of Canadian socialists. But first we need to discuss why socialists are organized and what kind of organization is needed. Because working people produce the wealth that makes society work, but a minority reap the surplus from that work and are prepared to defend their privilege by force, there must be transformational change. Only transformational change will address people’s basic needs – for housing, food, clothing, education and medical care, and for a meaningful life - on a global scale in a sustainable environment. The socialist movement has long understood that the class struggle for transformational change must be an organized one, that socialist militants need political organization for the maximum of political clarity and the greatest relevancy of tactics to unite militants. It is in formal organization that arguments can be advanced, actions based on these ideas tested, and theory and practice reviewed. Otherwise, arguments get repeated, actions are not analyzed in relation to larger goals, and leaderships are not accountable. In the Marxist tradition the basic argument has been over representation of working people versus building on militant minorities. The German Social Democratic Party became the world’s largest socialist party before 1914 on the basis of a Marxist platform and an electoral and trade union building practice. But in the test of war, the SDP collapsed into collaboration with Germany’s imperialist war machine. 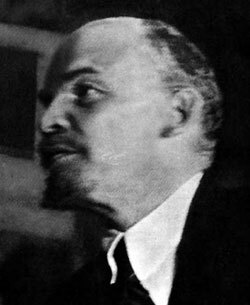 In Russia, the Social Democratic Party, under Lenin’s leadership, was forced by autocratic conditions, to develop an alternative practice, that of the vanguard party. The vanguard party had to be built on the fighting minority. And it had to be built on the practice of democratic centralism, a democratic process that fosters the fullest possible discussion combined with a respect for majority decisions to act together. And, if activists fundamentally disagreed, they split and tried to organize alternative theory and practice. In Russian conditions, talk alone, participation in the Duma Parliament, and/or participation in regime actions, in limited land reform or police dominated industrial relations, was meaningless. Direct action to resist exploitation and oppression or to compel progressive change was the only realistic path. Developing a vanguard party tradition did not mean that socialists were condemned to permanent minority status. In the conditions of World War One, there was a convergence between socialist militants and large sections of the working class as seen in the October Revolution in Russia or the Winnipeg General Strike in Canada. Since the Russian Revolution, then, there have been two conceptions of socialist organization: reformers like the NDP who look to represent workers (‘working families’) as defined within existing capitalist economic relations and political methods; and revolutionaries who look to strengthen workers’ self-activity and self-organization by mobilizing activists to pressure the existing system for progressive change by direct action or by using existing platforms like community organizations, elections, or trade union– and lay the basis for transformational change in system crises. But what kind of vanguard socialist organization can best support theoretical precision and real world results as the means to strengthen daily struggles and make transformational change?